Transitioning into a medical weight loss diet can be a challenging new adventure. As you learn to separate the good food from the bad, your weight loss doctor will set you up with a medical weight loss diet that’s right for you. Before you began eating healthier, you may have indulged in sweet treats whenever you liked, but now the sudden abandonment seems to be coming back to haunt you in the form of a sugar craving. You can learn to beat these sugar cravings by satisfying your sweet tooth in a healthy way without spoiling your medical weight loss diet. Beverly Hills and Bakersfield streets are saturated with bright flashing signs for sweet treats like frozen yogurt and chocolate shops. Driving past these sweet shops can be challenging at first, but satisfying your sugar cravings with naturally-sweet, healthy foods will help you stay on track with your medical weight loss diet. Here are some healthy foods that are naturally sweet and won’t ruin your medical weight loss diet. Fresh fruit is naturally sweet and likely already a pivotal part of your medical weight loss diet. Beverly Hills and Bakersfield are home to local farmers’ markets that offer plenty of fresh in-season fruits local grocery stores may not sell otherwise. Ask the local farmers which fruits provide the most natural sweet tastes and have fun trying new kinds with each visit you make. Herbal teas are a great, calorie-free way to satisfy a sugar craving. Dehydration often manifests itself in the body as feelings of hunger or cravings. Instead of reaching for a snack right off the bat, make yourself some healthy herbal tea. Remember; don’t spoil your healthy efforts by adding milk products or refined sugars that are high in calories. If you’d like your tea a bit sweeter, add a small bit of a zero-calorie sweetener. 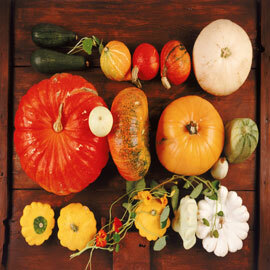 Root veggies and squashes can be naturally sweet treats for your taste buds. Carrots, beets and sweet potatoes are root veggies that are naturally sweet in their whole forms that make for a delicious medical weight loss treat. As the summer season transitions into fall, look out for sweet pumpkins and squashes at your local grocery store to make yummy sweets instead of indulging in unhealthy holiday candies. On top of adding these naturally sweet alternatives to your medical weight loss diet, watch out for sugary traps that often disguise themselves as healthy foods. Typical sugar-filled culprits to avoid during your medical weight loss diet are granolas, cereals, sweetened iced-teas and sugary pre-made drinks like smoothies and coffees. If you’re unsure if a particular food is a healthy alternative for satisfying your sweet tooth while on a weight loss diet, don’t hesitate to consult Dr. Kerendian.